Whether it is in Florida or some other state, federal trademarks, patents, and copyrights are just some of the things we help our business clients with on a daily basis here at the Yau Law Firm. But, when it comes to starting a business, we are all about planting roots right here in Jacksonville! Sure, we can admit some bias because we love working here in Jacksonville, but our favoritism to Jacksonville is not wholly unfounded. 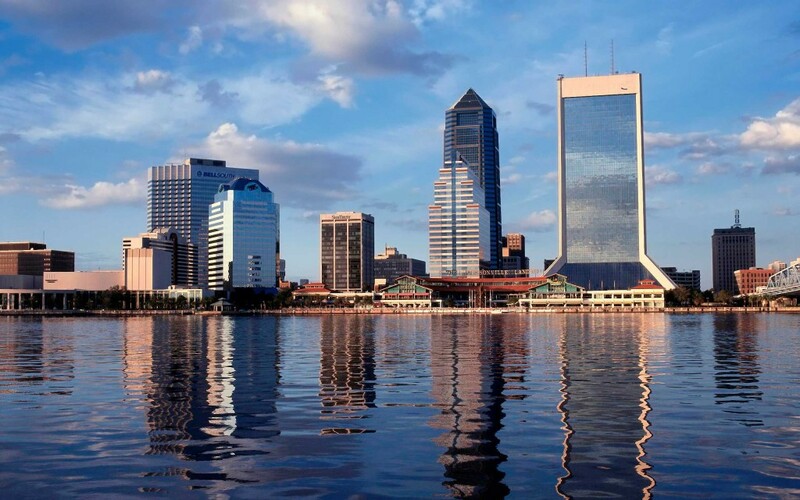 In a recent article, CNN Money reported that Jacksonville is a “hidden jewel for entrepreneurs.” In fact, the article reported that many entrepreneurs have left Silicon Valley and New York to come to Jacksonville. CNN Money listed several reasons why Jacksonville is a great place to be for start-up businesses, including the median age of residents, which experts believe contributes to the drive of starting a business. 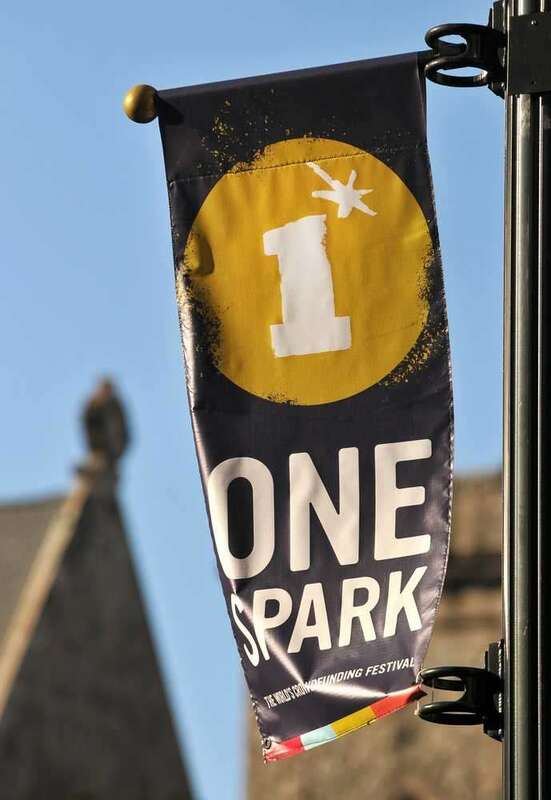 And, let’s not forget OneSpark, a trending annual crowdfunding event held in downtown Jacksonville, which drew national and international visitors and attention. Our very own Florence Monauer attended the event as a Creator for a video game company, Bird Tree. To learn how the Yau Law Firm can help your business start and grow, give us a call today! 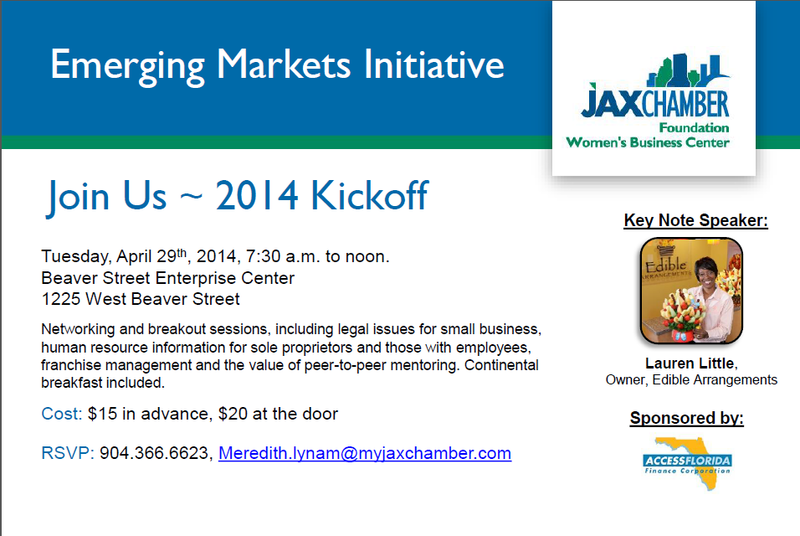 If you have ever wanted to know how to start a business and what resources are available to you here in Jacksonville, then we hope you will join us for the Emerging Markets Initiative, hosted by the Women’s Business Center of the Jacksonville Chamber of Commerce. The Yau Law Firm will have the opportunity to address common legal issues raised during business start-ups and operation, such as licensing, trademarking, franchising, and contractual agreements. The event takes place on April 29, 2014 from 7:30 A.M. until noon. It is located at the Beaver Street Enterprise Center, 1225 West Beaver Street. Interested in a consultation with the Yau Law Firm? Give us a call today to find out what we can do for you and your business! The Yau Law Firm is all about business. We help business owners form entities; we help them protect their trademarks, logos, slogans, and other intellectual property from infringement and subsequent litigation. We have helped owners become compliant for non-profit 501(c)(3) tax designations. From drafting licensing agreements to ensuring that artists are covered in the entertainment industry, we have spoken the language of business law. But, it’s something else to actually own and run a local business. In addition to my experience in co-running a law business, my husband and I are co-creators of a company named Bird Tree. Our very first video game was presented at OneSpark at the Art Center II located at 229 N. Hogan Street. When the four creators of Bird Tree got together, we had to immediately make the same decisions that I had helped my clients make when forming a company. What is more significant, however, is experiencing what it’s like to be a small start-up again: starting with nothing but ideas and dreams. We didn’t even think we could make it into OneSpark, but we did! And, we got quite a bit of attention from visitors while there. For twelve hours a day, we manned/womanned the booth; we gave our best selling pitches and requested visitors to give us a vote. Although we certainly did not win OneSpark, we left the event having made new contacts, friends, and opportunities. Nevertheless, I cannot forget the smiling faces of those clients we met with big start-up dreams. These business owners are every day people like you and me: mothers, fathers, grand parents, college grads or high school kids. Despite all the challenges these business owners face, they somehow make it through. So, I raise my glass in toast to you: here’s to innovation, perseverance, and courage! To learn more about what the Yau Law Firm can do for your business, give us a call today! Admist the sweeping changes that Florida’s new Personal Injury Protection (PIP) law recently brought, the Florida Supreme Court denied to review a lawsuit involving PIP reforms. Proponents of the PIP reform are pleased with the Florida Supreme Court’s decision, stating that the new law not only saves insurance holders money, but prevents the filing of questionable personal injury claims. 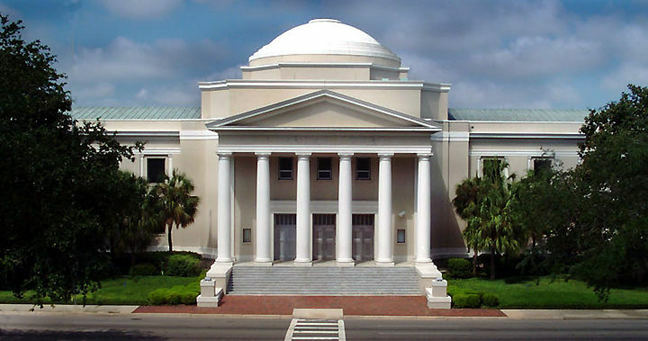 For the time being, the Florida Supreme Court made no decision regarding the substantive issue of the new PIP law and the Florida Constitution, only that the cases brought before the Supreme Court lack standing. Meanwhile, personal injury claimants and insurance policy holders are disappointed with the decision and upset with the changes that the new PIP law brought. With the new PIP law, injury claimants must seek medical evaluation no later than 14 days after the accident. Failure to do so means no medical benefits for the injured claimant. This is devastating to many Floridians. Some injuries do not manifest themselves until some time after the car crash. Alarmingly, most insurance holders do not even understand PIP law, the PIP requirements, or that their insurance can even pay a percentage of their medical bills. 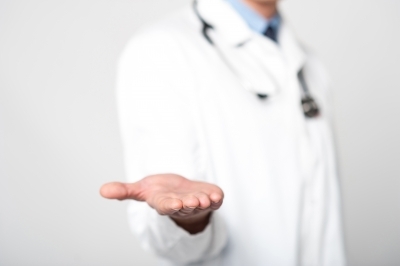 Unfortunately, many people even go without ever being treated by a physician. Weighing the pros and cons of the new PIP reform, some policy holders find that the costs of the new law far outweigh the benefits. In fact, these policy holders feel that the PIP reform did not even decrease their insurance premiums. If you have ever been involved in a car accident, you may have questions that need answers. What if you have no health insurance? What will you do about lost wages? How can you seek medical attention? These are all questions that we are ready to answer. Give us a call today to schedule your free consultation. Oftentimes, motorists who receive traffic citations simply pay the ticket or, if it’s a moving violation, elect to take traffic school. What these motorists don’t know is (1) whether the ticket is valid to begin with, and (2) whether there are alternatives to simply paying the ticket or going to traffic school. This is particularly true with people who received red light traffic tickets. At the Yau Law Firm, we fight traffic tickets. 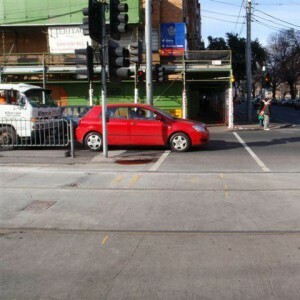 Something that has recently come as a surprise to our clients is that they cannot be cited for failure to stop at a red light IF the vehicle came to a complete stop even after the vehicle crossed the stop line. The new law came into effect as of July 1, 2013. Still, we get quite a few clients with improperly issued tickets. Imagine if they received these tickets and elected to pay the ticket (usually a fine of about $158)? That means, they would have paid $158 for something that they did not need to pay for! We work hard so that you don’t need to. Our flat rate prices for ticket representations begin at $69, excluding any court fines and costs. 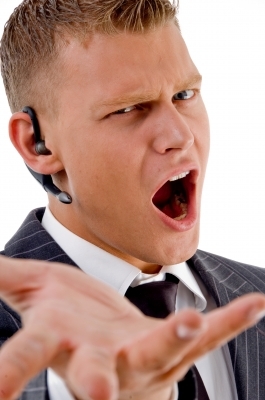 Telephonic consultations regarding what our attorneys can do for your ticket is always free. To find out what we can do for you, give us a call today! Cease and desist letters are particularly handy for those wanting to enforce trademarks, copyrights, patents, licenses, and really, any other right. At the Yau Law Firm, we have dealt with cease and desist letters on both ends of the spectrum: we have issued cease and desist letters on behalf of our clients, and we have also defended against and negotiated with them. Receiving one can be quite scary–especially if you don’t know what your rights are. Do know that receiving a cease and desist letter can be very serious. It is most often necessary for an experienced attorney to look at it with you. For those who aren’t sure what to do, allow us to take a few moments to discuss common options. First, it is important to know that a cease & desist letter is not a lawsuit. Rather, it is a warning that you are trespassing on someone else’s rights, and that you ought to stop. The fact that you have received a letter rather than a lawsuit is a good thing. Oftentimes, the sender is trying to avoid costly litigation, and both parties can actually settle with mutually agreeable solutions. Ignoring the cease & desist letter is always an option. But, without knowing what your rights are, and whether the sender has any rights to enforce, this is a bad idea. In many cases, particularly with intellectual property, cease & desist letters act as notices, which if ignored, will subject the recipient to treble (triple) damages. (And this is on top of attorney’s fees and costs). Some cease & desist letters seem really nasty, while others are polite and to-the-point. But, however it is written, ignoring one is not the solution. Some people choose to respond to cease & desist letters with apologies and a promise to “never do it again.” Although it is certainly favorable in the eyes of the sender to receive heartfelt apologies (and our society have taught us that apologies are a polite thing to make), your apology, for the most part, can become an admission of fault. In Court, an admission–especially if it is memorialized into a writing–can be used against you. For many businesses and people, a simple apology might not do the trick, particularly if the business has lost money because of you. To avoid this, we at the Yau Law Firm help our clients with Release Agreements as well. To protect our clients, we ensure that they can come to an agreement with the other party, and that the other party does not hold the client accountable for past and current infringements. To find out how we can help protect you from potential litigation, contact us today! In less than 19 days, more than 600 Creators will display their projects throughout downtown Jacksonville for a shot at some of the $3.25 million dollars inside the crowd-funding pot. Last year, our attorneys at the Yau Law Firm attended OneSpark and gave our votes and support to some Creators and their intellectual property. 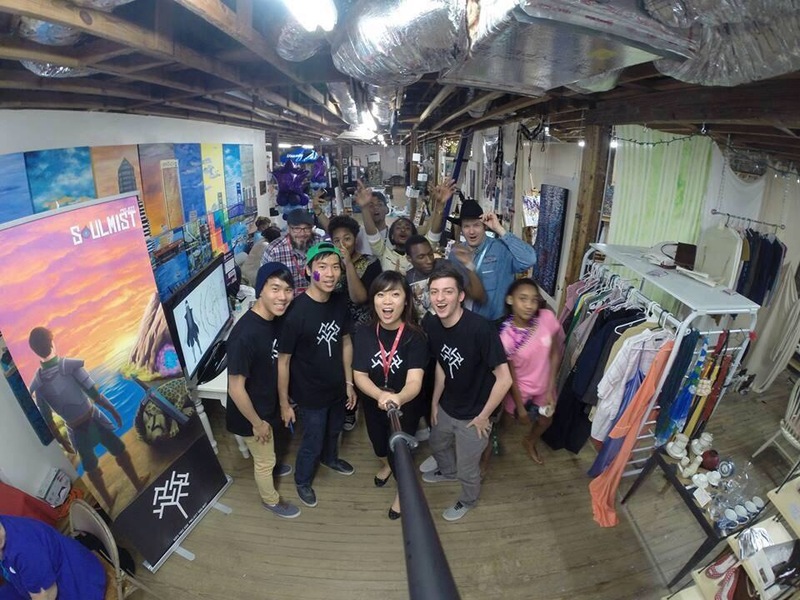 This year, one of our very own attorneys, Florence Chen Monauer, will be at OneSpark as a Creator. “Whether it’s Kickstarter or OneSpark, I’ve learned very quickly that start-up businesses and projects can greatly benefit from crowdfunding,” said Monauer. “It’s not so much about trying to get crowdfunding–although it’d be very nice if we walk out of the event with a check in our hands, it’s about marketing, getting people to know you and your project, and making some friends.” As a member of the Jacksonville Chamber of Commerce and its branches, such as the Professional Women’s Council and the Business Women of Color Task Force, Monauer has stressed the importance of being a part of the community to network. More importantly, taking the initiative to showcase your cause or project can bring more revenue to your business, Monauer mentioned. Particularly, individuals can benefit from something like OneSpark if the person has a patent pending. “If you have a patent pending because you want to test your property in the marketplace, OneSpark is a good place to start,” Monauer stated. Monauer and her husband, Lucas Monauer, will be showcasing their video game project at the Art Center II, located at 229 N. Hogan Street from April 9, 2014 until April 13th. Monauer’s OneSpark project can be seen here: Project Soulmist. She invites all to see her project and ask any questions! If you are thinking of starting a business, or you have questions about your trademark, copyright, or patent, give us a call today! It’s that time of the year for business owners when annual reports are due to the Florida Division of Corporations. Annual reports are due on or before May 1st of 2014. Any late submissions will come with a hefty $400 fee to for-profit corporations. As attorneys who also practice business law at the Yau Law Firm, we want to make sure that all of our business clients and friends are well taken care of. Protect your business assets and yourself from personal liability! Failure to file your annual reports will mean your corporation gets administratively dissolved. This can be problematic for business owners who desire to maintain their corporate identity or non-profit status. At the Yau Law Firm, we offer the convenience and professional experience of handling such filings. 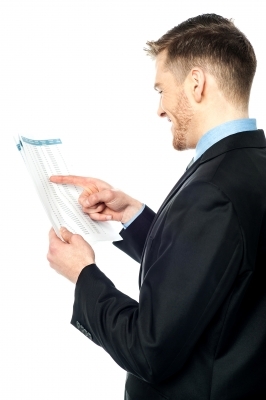 If you would like us to handle your annual report filing, contact us today! 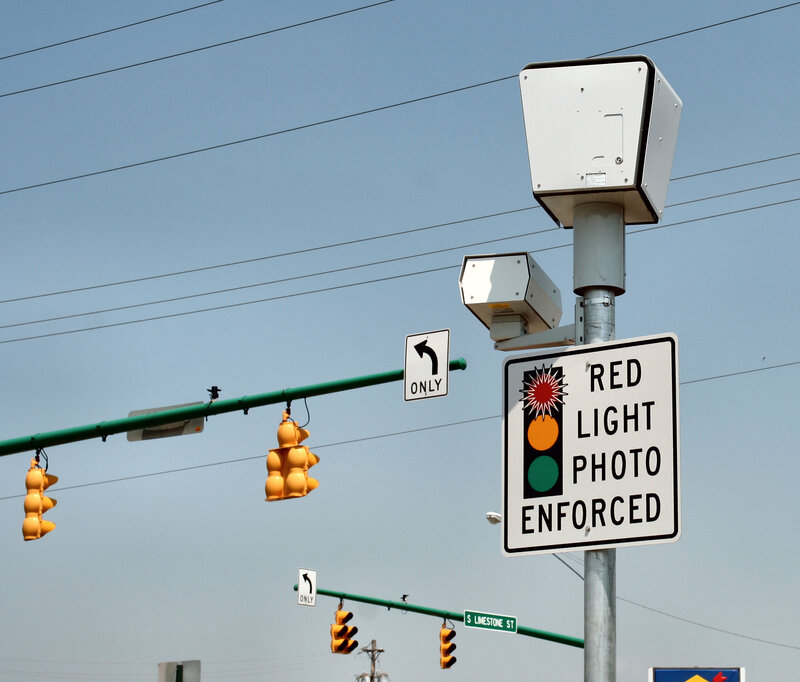 Less than a year ago, our Yau Law Firm blog mentioned that red light traffic cameras were being installed in various intersections across Jacksonville. Thanks to these cameras, hundreds of Jacksonville residents received traffic citations for allegedly failing to stop at red lights. Many of these tickets are in fact defective and improperly issued. Some received these citations, but in fact never drove the vehicle. Others received the citations but did not actually run the red light. In fact, just recently, we had a client whose non-profit corporation was named as the defendant driver on the red light traffic ticket. With so many defective tickets issued on a monthly basis, is there any reason to keep these cameras? St. Petersburg doesn’t think so. 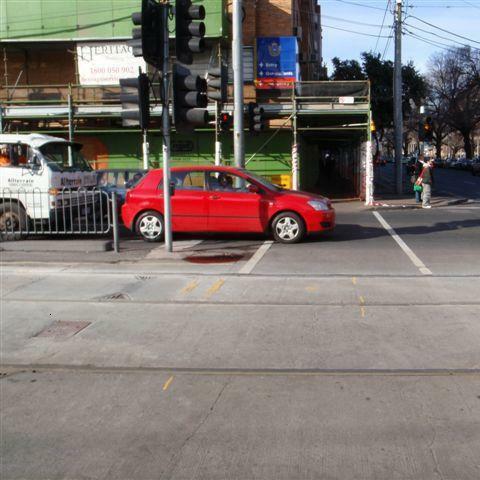 On March 6, 2014, the city council voted to remove the red light cameras from its intersections by September 30, 2014. Part of the problem: the city needs to issue refunds to hundreds of drivers who received tickets for passing yellow lights at traffic signals, and it’s unclear how this will occur given that the city is only able to keep $21 dollars of the $158 ticket. The rest of the money is sent to the state and the camera operators. Mayor Rick Kriseman also indicated that having the traffic cameras is unprofitable to St. Petersburg (somehow, we’re not entirely sympathetic with this notion). 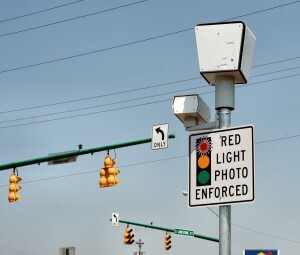 Although it’s not certain whether Jacksonville will ever remove their red light traffic cameras, one thing is for sure: we can tell you whether your ticket can be dismissed in court. If you received a red light traffic ticket or any other ticket, give us a call today to find out whether your ticket can be dismissed entirely. At the Yau Law Firm, we see many claimants suffering from personal injuries sustained from automobile accidents. Unfortunately, in Florida, personal injuries from car crashes are just too common. Insurance companies know this, and have set up a system where the injured person can receive benefits from a medical provider without paying the upfront costs. This system establishes an agreement between the doctor and the insurance company where the doctor is reimbursed by the insurance company, and the insurance company is reimbursed by the lawsuit against the at-fault driver. But what happens when the doctor is not paid what he feels is fair for the medical care he performed? The answer is not simple, but ultimately the courts have decided that it is not the insurance company’s problem. While this hot topic becomes a common problem in Florida admist the new PIP law reform, the Yau Law Firm does not want you to have to find out the hard way. On March 5, 2014, Florida’s Fourth District Court of Appeals held that an insurance company is released of any responsibility to pay a doctor’s bill after the injured person’s insurance benefits have ended (Northwoods Sports Med. and Physical Rehab., Inc. v. State Farm Mut. Auto. Ins. Co.) This is especially important because insurance companies often do not pay the full asking price of the doctor’s services. Injured claimants are also concerned about how they will be able to foot the bills. Most injured claimants do not have health insurance (and sadly, this remains a problem despite the Affordable Care Act), which means that most injured claimants cannot afford medical treatment. Despite Florida’s No-Fault Insurance laws, which requires auto-insurance companies to pay at least 80% of the medical expenses, this still leaves patients with the remainder 20% of the bill. At the Yau Law Firm we can prepare for these types of situations by setting up an understanding between the client, the doctor, and the insurance companies. For more information about how car insurance can affect your case, give us a call, or e-mail, if you or someone you know is dealing with this type of situation.